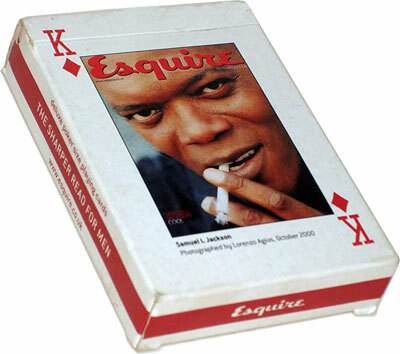 Promotional deck produced by the British gentleman’s magazine “Esquire” c.2002. Each suit and both jokers have the same images, so effectively there are 14 images, each of which is a cover from the magazine published during 2000 or 2001. 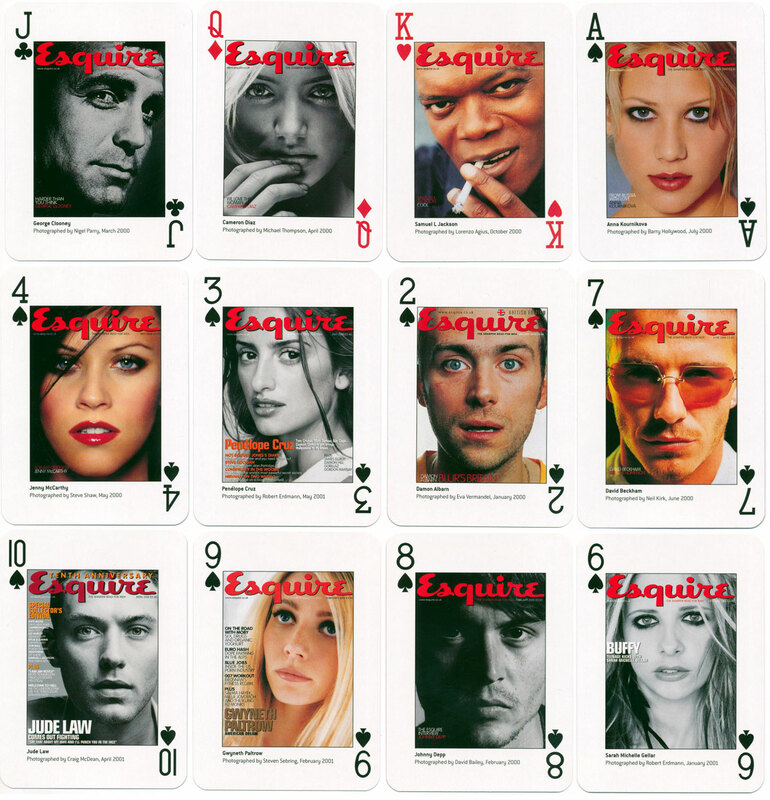 Above: promotional deck produced by the British gentleman’s magazine “Esquire” c.2002. Images courtesy Matt Probert.